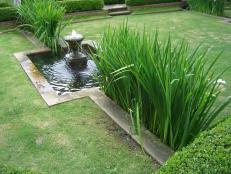 Million Dollar Rooms goes to Bradbury, California to the Bradbury Estate to check out its million dollar backyard water features. 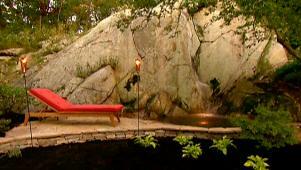 One is a limestone lined pool that holds 350,000 gallons of water and is 14 feet deep. 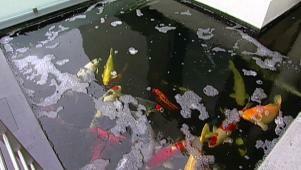 The other is a temperature controlled trout pond with a capacity for one million gallons of water. 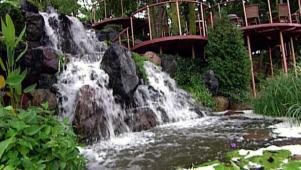 The expense for the water features is around ten million dollars. 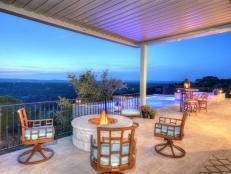 From: Million Dollar Rooms with Incredible million dollar home office, gorgeous basement spa, and stunning observatory. 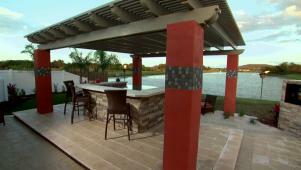 This stunning water-feature bar looks like it's spilling right into a lake. 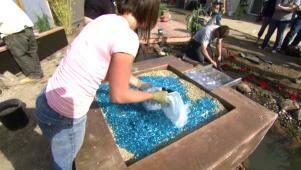 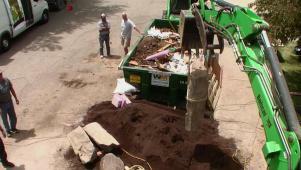 Ahmed Hassan and the crew add bling to a fire pit with a water feature. 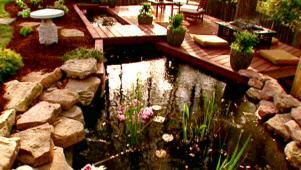 A deck built around a pond: could there be a more relaxing retreat? 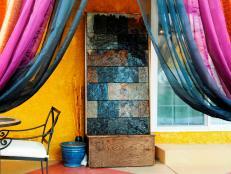 How do you turn a vertical wall into a piece of yard art? 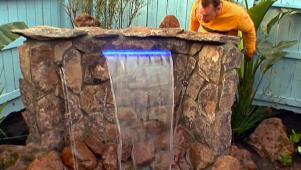 With a waterfall! 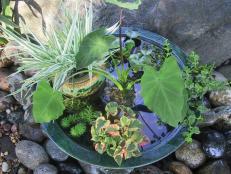 A water feature without a pond means very little maintenance. 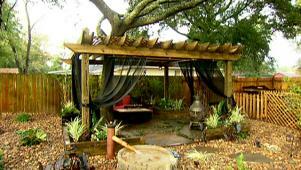 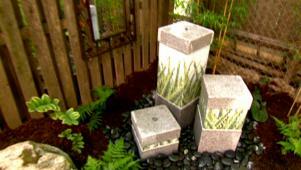 A three-piece water feature adds a triple whammy to a small outdoor room. 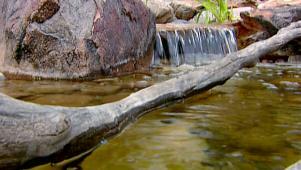 A millstone found in a quarry is the base of a Zen-inspired water feature. 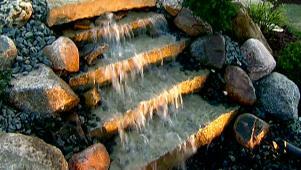 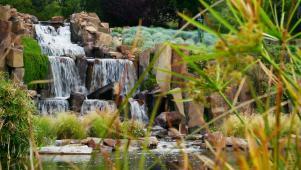 Here's advice on adding a huge stone water feature to a landscape. 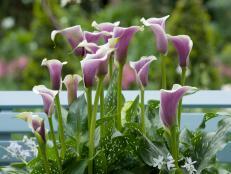 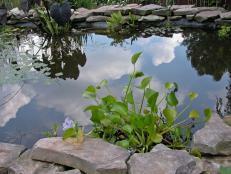 With or without fish, ponds make relaxing additions to most outdoor spaces.